I have been teaching continuing education since 2010, originally within Johnstone Supply. 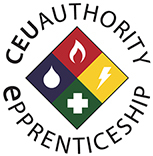 We rolled out on our own in 2014 and started The CEU Authority with the aim of becoming the best continuing education provider in Iowa and Omaha for those licensed in plumbing, mechanical, and electrical trades. Since 2014, we have expanded our offerings to include online apprenticeship, and we are in the process of rolling out an online EPA 608 certification. We also have more trainers, with more experience, leveraging more technology, and reaching more students. We use technology to make it the most convenient to receive the best training. Our focus is always on the customer’s needs rather than our own. What I mean by that is - it’s a lot easier for me to drive four hours and give a class for fifty people, than for 50 people to drive four hours to take my class. What has made us successful thus far is always getting the fundamental things right. We acknowledge the fact that people have paid money to come to class and get credit with their licensing authority. You have to get the money and the credit part right 100% of the time! And in this way, we’re continuously striving to give our best to make sure our students get the best. There’s one instance in particular that stands out to me as a testimonial of how our training has made a difference. After giving a safety class on confined spaces and the unique dangers faced, there was a student who had taken that class and came to another day of training about a month later. He told me that he went on a job site where his crew was already working, and he would have previously just started working alongside them. However, due to the awareness of the dangers that he had gained at our class, he stopped work to correct the situation to eliminate the element danger, and everyone started working again in a safe environment. Who knows what would have happened had the situation been left uncorrected? But by attending our class, he helped take people out of harm’s way. I believe what sets us apart from the others is that we strive to be the most customer-centric training provider possible. I strive to impart training the way the students want to receive it and I also thoroughly enjoy interacting with the people in the trades and solving problems. When I am not at work, I’m an idea guy at heart. I always need to figure out solutions to problems, but when I really want to get in some downtime, nothing seems to do it for me as well as the Gulf Coast of Florida. Beaches, watching the sun set over the water, slowing down, unplugging, and spending time with my family - that’s a good time! Apart from this, I am part of Kids Living Brave, which is a 501(c)(3) non-profit that supports kids who have been diagnosed with cancer in Iowa. Back in 2011, my son was diagnosed with leukemia when he was eight years old. He’s doing great now, a typical mouthy, know-it-all fifteen-year-old - so, a different set of problems, but good ones. At any rate, he was an in-patient at the hospital for the first month of treatment. When we went home, he asked, “What would a family do If they were broke, or if it was a single parent, or if they lived a long way from the hospital?” These ‘what ifs’ was pretty high-level thinking for an eight-year-old. So, we decided to do something about it and formed Kids Living Brave. Seven years later, it’s still going strong, and we provide ‘brave bags’ (used to be baskets, but we’ve streamlined things) with a bunch of items, some practical some fun, as well as a $100 gift card. It’s rewarding to help people out in a tough situation, and I believe it’s easier for them to open up to my wife and me because they know that we’ve walked in their shoes. If you or someone you know could benefit from our expertise in continuing education, I invite you to get in touch. Please visit our website at www.theceuauthority.com.